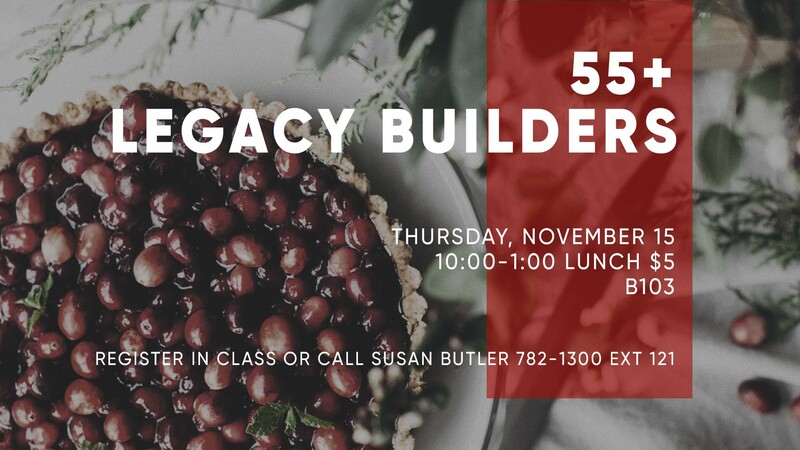 Join Minister of Pastoral Care and Adults 55+, Dennis Banks, for the monthly Bible study prior to the Legacy Builders program! The Bible study meets in room B119 from 10:00-10:45 AM. Refreshments are served after the Bible study. The meetings are held in room B119 and begin at 11:00 AM. The monthly program features inspiring speakers and musicians.